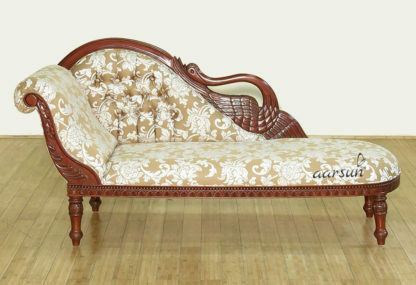 Aarsun Woods brings to you this state-of-art Handcrafted Wooden Diwan in premium quality Teak Wood. Deewan is used for many purposes. Diwans are crafted in various patterns and designs to suit the specific requirements of customers. The elegant look of the Diwans reminds us of the ancient heritage and cultural traditions which has been carried over from the past. 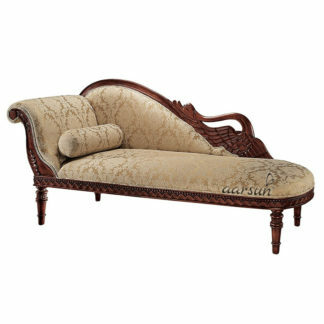 Each unit is customized to perfection by skilled craftsmen with export quality finishing. We at Aarsun Woods, strive to offer the best value and service possible. Teak Wood is one of the most widely used hardwood type for making furniture. Teak Wood is preferred over sheesham when detailed intricate carving is required over the furniture. It can be sanded smoothly and polished or can be used as. Also, known as Indian Rosewood, it is preferred in Temples and light weight furniture. The grainy texture of each log of wood gives each furniture piece a unique look. Durable & Long Lasting, Sheesham Wood can be sanded and polished or hand-waxed to whichever color required. Haldu Wood is hard and strong wood and is about 10%harder than Teak Wood. It is an important commercial timber native to India and Thailand and is used for furniture, turnery, brush backs and toy making. The yellow wood has a straight grain and silk-like texture. Haldu Wood is easy to saw and finishes very easily. Haldu Wood takes strain and polish well. Use a table cloth or any good quality cloth to wipe it clean. Do not keep warm items directly on a furniture surface.